Well, in 2018, it’s actually a lot easier and more affordable than you’d imagine. Take a look at your favorite YouTubers. There’s a good chance the music they use was licensed from a global music company called Epidemic Sound. But here’s the best part. If you need music for YouTube — share your vision, make your art, and build your brand — you too can sign up to access Epidemic Sounds library of original orchestrations for about the same price as going to see one IMAX movie. Effectively, Epidemic Sound is a company where professionals and aspiring professionals can license amazing music at a price-point that reflects each customer’s needs and experience level. If you’re putting together a trailer for a Hollywood studio and need worldwide rights across all distribution mediums, expect to pay pro rates. 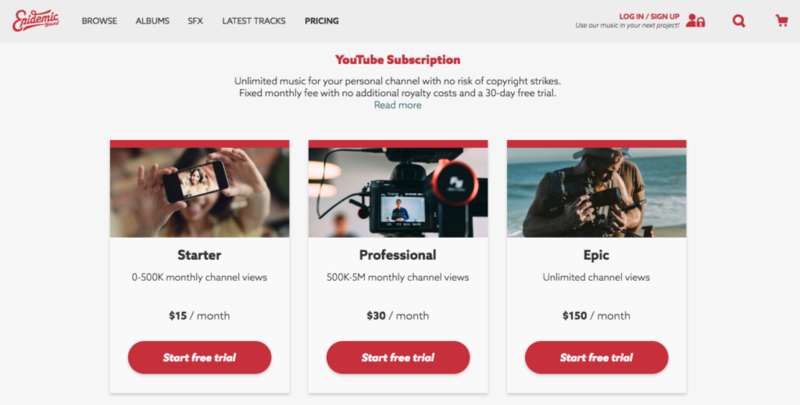 But, if you’re just starting out with a few hundred subscribers and need music for YouTube, and you’re paying a lot less. 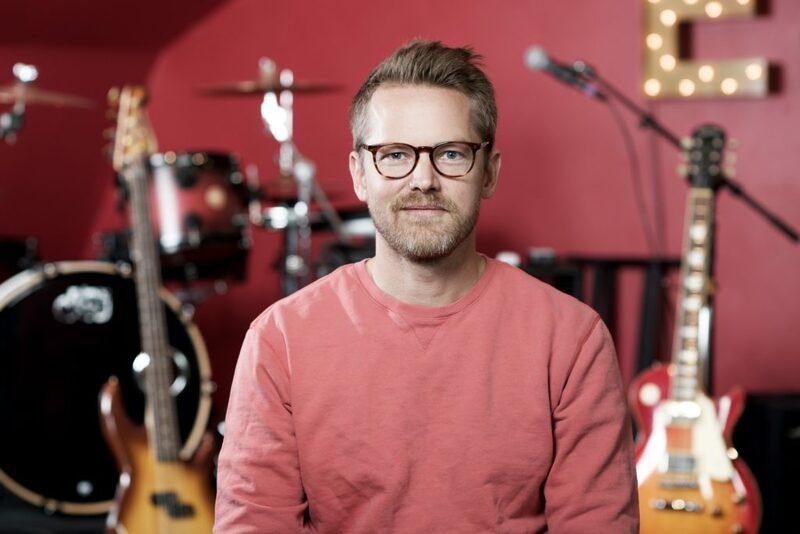 We recently sat down with Epidemic Sound CEO & co-founder, Oscar Höglund, for an in-depth interview about the company and their relationship to their musicians and client/customers. Check it out. Epidemic was founded in 2009 as a production music library. How was the original idea different from what you’re doing today and how did you evolve into a go-to music source for some of the world’s biggest digital content creators? Our original idea and what we do now are one and the same. We have become the world’s largest music provider for storytellers by staying true to our mission, which is to make it easy for any type of creator to license and use quality music anywhere in the world, on any platform, at any time. The reason we have such a loyal fanbase in the YouTube world is that there is no one else doing what we do and because we keep delivering on our promise to provide quality music for the creator community. Music and sound are so key to creating professional quality videos, but legally acquiring music is a complex process for non-professionals. How did your three YouTube Subscription tiers come to be? Coming from a TV production background, I fully understand the pain of trying to source and use good music. At my last company we were constantly on the lookout for good music to use in our TV shows on a modest budget – even when we found good Swedish music, it became a nightmare when we tried to export the show to other countries because of the different copyright laws. YouTubers have the same challenge, right? They want to be able to broadcast their shows anywhere in the world and not have to worry about the copyright challenges. Therefore, we designed subscriptions based on monthly channel views rather than where in the world the video was being shared. You also have more conventional licensing options for working professionals. For the non-pros reading this, how does this differ from the YouTube Subscription options? The best way to describe it is that our YouTube subscription is a standardized offering where the creators get access to the entire music catalog. However, we also have documentary makers, retail stores, cafés and independent shops wanting to use our music – these require a more bespoke service – here we have dedicated salespeople who can help curate the right music for a specific purpose, occasion or video. 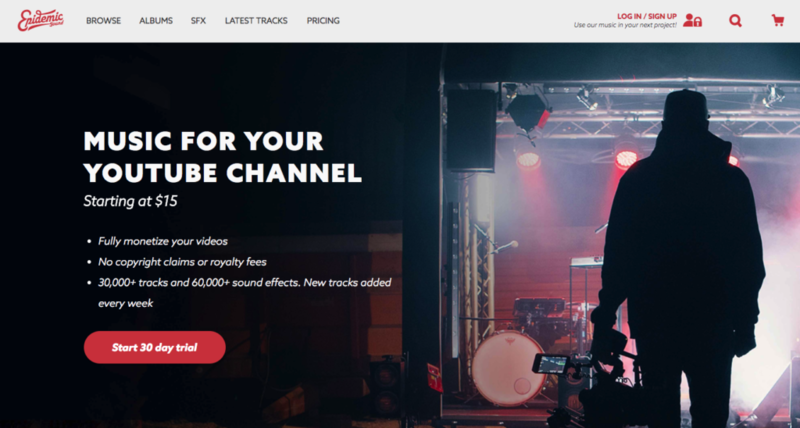 In the digital ecosystem, so many feel like they can just steal audio-visual IP, but Epidemic pays musicians and helps video creators avoid copyright issues. How important was it to create a service where artists can help each other earn a living wage? Balance within our ecosystem is what keeps me awake at night. Epidemic Sound has five co-founders; two of us are from TV production and two are world-renowned music producers who have produced music for the likes of Madonna. From day one, we have been focused on building a mutually beneficial community where the musicians and creators get equal value out of being involved. We’ve also uploaded some of our music to streaming platforms and split the revenue 50/50 with our artists. Something as lively and dynamic as our creative community means we always need to stay ahead of the game and ensure we’re also inventing new ways of doing things to keep the balance. How do you find your musicians? We’re lucky enough to have so many inbound requests from musicians wanting to work with us. We have high standards and are huge believers in quality over quantity – for every 1000 musicians that apply, we take on two. It is such a tight-knit community that word of mouth drives a lot of the referrals. 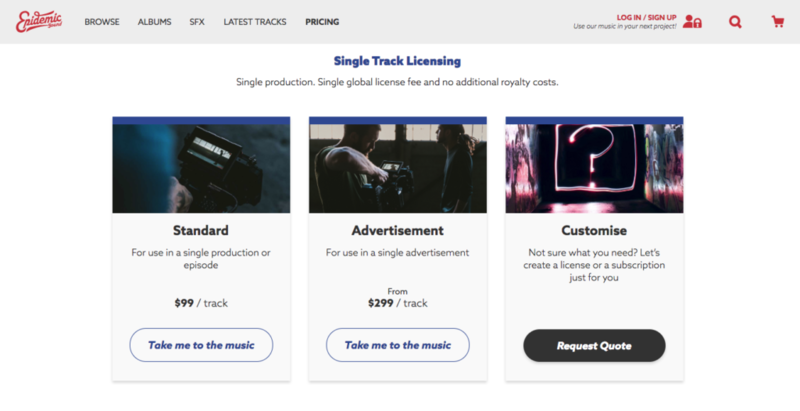 We’re told that musicians love the fact that we pay upfront for tracks and split the revenue from streaming platforms. Our musicians often say the track by track model and paying upfront removes anxiety from the process giving them the freedom they need to create. Do you offer libraries of sound effects as well? Yes, we do. 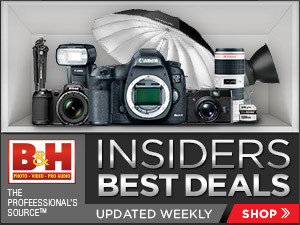 The beauty of our catalog is that it has something for everyone! Over 180 genres of music with 60,000+ sound effects. One of the things I love about your service is that you not only provide fully mixed tracks, but also individual stems that allow creators to build and remix various elements of each track. Why is such flexibility important to your customers? This goes back to our original goal of a world where people can create, license and share music without any limitations. Creators need to be able to easily cut up and edit the track as they see fit. For example, a Vlogger who creates content based on verbal communication probably won’t want a vocal backing track, but if they find one they like, they can just use the instrumental stem, which is great as they won’t have to spend more time searching for music. I learned about Epidemic through Photographer/Filmmaker Peter McKinnon‘s ultra-cinematic YouTube Videos — he’s even visited your headquarters — who are some of your other Epidemic-equipped YouTubers our readers should seek out? We work with so many talented YouTubers. Matti Haapoja’s cinematic-style travel channel is definitely worth checking out. If you’re an aspiring YouTuber, I would recommend taking a look at Ryan Kao’s channel as it has some excellent instructional videos. The behind-the-scenes breakdowns of music videos by YC Imaging and the cinematic travel and fashion blogging of Tess Florio are also super inspiring. Epidemic’s creator-customers seem like they’re big fans of you and your team; in a way, many of them seem driven to help you grow as you help them, etc. What have you learned from you creator-collaborators, and have their needs influenced how your service operates? If so, what have they changed and is it any different from your working pro customers who seek traditional licenses? These days everyone is a brand with a purpose and a desire to share their story. It doesn’t matter if you are a professional film producer, a young aspiring YouTuber, a small independent cafe, or a large retail store, everyone needs music to tell their story and trigger a desired-feeling amongst their audience. All of our customers influence our business and shape our future. The stems you mentioned earlier are a practical example of this; this feature saves time and money for everyone who uses our service. We were the first company of our kind to offer this and it was a result of feedback from several customers. Where do you see Epidemic in the next 5-10 years? I founded Epidemic Sound nine years ago and I never dreamed I would lead a company that has thousands and thousands of creators and over 200 employees at its side. So I wouldn’t be so bold as to predict where the company will be in ten years as things can change so quickly these days. What I can say is that every day we’re working on our purpose of making sure creators and musicians can operate in a world without musical limitations. Thank you for share this interview, very inspiring story, I just know they have 200 employees, that’s awesome, I thought maybe only 20 employees. I really like Epidemic compare to their competitor, because their put detailed information about license, permitted use, etc, so I feel safe to use their music. And youtube subscription can be use for social media too, that’s awesome.